The grandson of the late oil tycoon John Paul II has withdrawn his plans to build a deer fence across a Chilterns bridleway. Tara Gabriel Galaxy Gramophone Getty had submitted a proposal to erect the controversial fencing along the right of way at his home at Twigside Farm at Ibstone in Buckinghamshire. Access campaigners welcomed the change of heart, saying if approved the fence and accompanying electrically controlled gates would have made the route appear private. Mr Getty also wanted to move the bridleway off its line and create pinch points. The Open Spaces Society, which opposed the proposals, said although Mr Getty gave no reason, his withdrawal may have been because the application was strongly opposed. 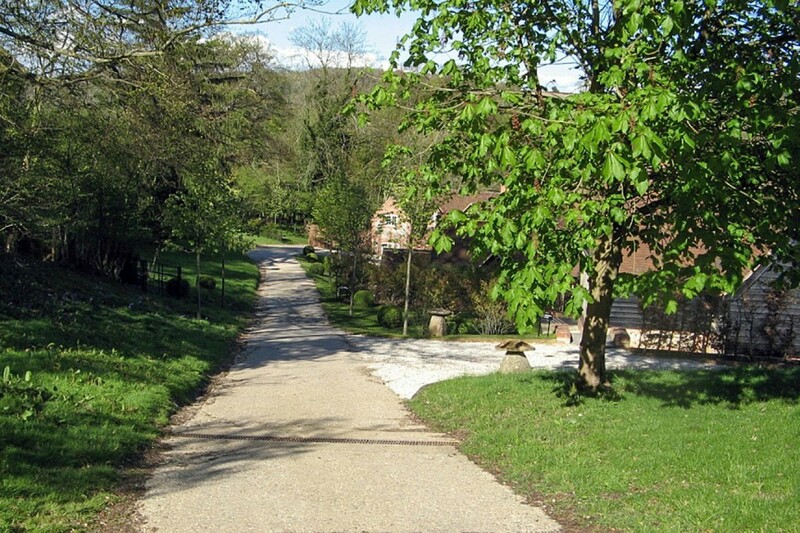 The farm stands in the Chilterns area of outstanding natural beauty. The objectors were Buckinghamshire County Council as highway authority; the Chilterns Conservation Board; Ibstone Parish Council; the British Horse Society; Chiltern Society; Cycling UK; Buckinghamshire Ramblers and the national Open Spaces Society. The OSS said Wycombe District Council, the planning authority, told Mr Getty that it disliked the design of the deer fencing and gates. OSS general secretary Kate Ashbrook said: “We are delighted that Mr Getty has withdrawn his obnoxious application. “This is a beautiful, quiet valley in an area of immense beauty, and the fencing and electronic gates would have made it appear private as well as being a blot on the landscape. The objectors argued that you cannot in any case use a planning application to move a public highway. Mr Getty’s grandfather was once described as the richest person in the world. Rich b*stards being tw*ts are basically all that is wrong with the British countryside. See also: grouse moor monodiversity, bird of prey persecution, hill tracks, micro-hydro schemes. There are others. I think you need to remember why rights of way were created in the first place which was specifically to allow people to get to their place or work /worship, not for ramblers who come out in large groups for leisure purposes. Mobile phones and handheld cameras did not exist in the way they do today, and so the issue of privacy was not relevant. You also need to be aware that at any time some one could claim a right of way through your garden or driveway as the law stands, and Kate Ashbrook would no doubt be backing their case, so be careful what you wish for. It would be very constructive if a new group was formed called reasonable ramblers, and if they would be happy to walk on paths a minimum distance away from private dwellings I am absolutely certain that you would see many more routes opening up so that people could enjoy the countryside.